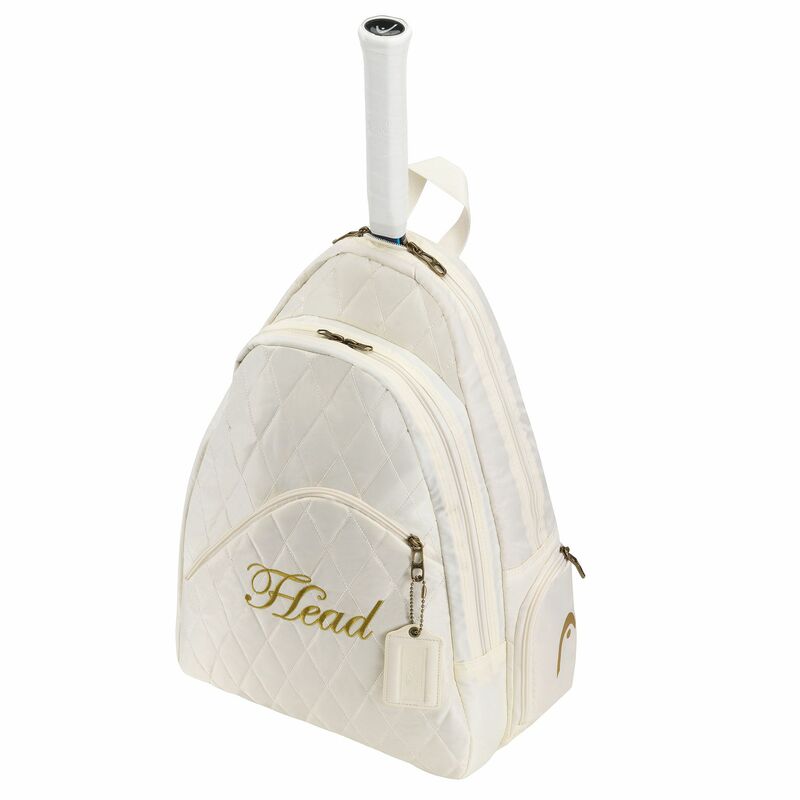 The Head Maria Sharapova sling tennis bag is a great, functional bag made from Oxford Nylon. It offers an inside mesh pocket, as well as front and side zipper pockets for all the necessities. This white and gold bag features a front compartment with CCT+ thermal foil which protects the racket from extreme temperatures. In addition, the Head Maria Sharapova sling tennis bag has a racket grip rain cover that improves its functionality. for submitting product review about Head Maria Sharapova Sling Tennis Bag.